Cashiers NC, Have You Been To Rec Center Lately? Have you been to the rec center in Cashiers NC lately? This amazing facility is a cornerstone of the community offering plenty of exercises and activities for residents and visitors alike who are looking to live a little healthier. Now that we are starting a new year it is a great time to get over to recreation center in Cashiers NC. The Cashiers/Glenville Recreation center is a 24,500 square foot facility complete with a full size gymnasium where you can play basketball, volleyball, table tennis, badminton, and a running/walking track. There is also a fitness room that houses cardiovascular equipment, weight equipment, and free weights. In addition the facility is home to an aerobics room, meeting room with warming kitchen, and Men’s and Women’s locker room and shower facilities. Personal training is available as are daily classes that run the gamut from yoga and pilates to spin and TRX classes. If you live in Cashiers and vow to get in shape in 2014 the rec center is the place to start! Contact me. 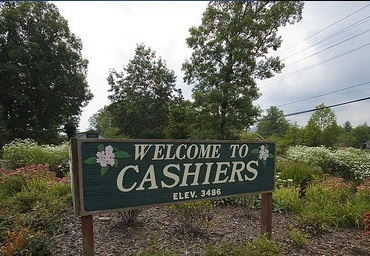 Lynn Kimball today to learn more about living in Cashiers. I welcome the opportunity to help you get to know our unique mountain area while providing you with access to all Cashiers real estate currently listed for sale.